Home » Forex Blog » Trading binary option: Is it really profitable? 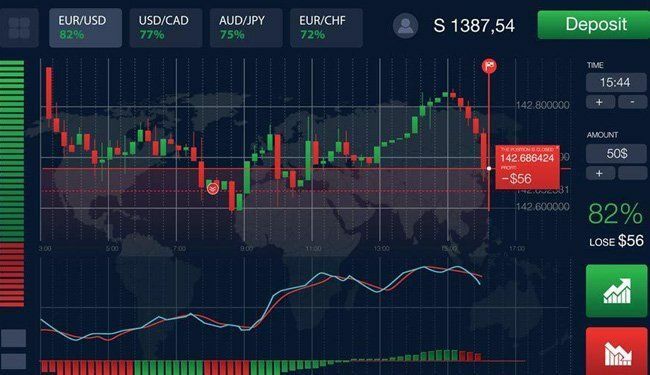 When people are thinking to make money in Forex, there are the group of people who think that binary trading is the solution for them. If you want to make money in Forex, there are many ways open to you. There are many strategies in Forex and professional traders can help you to trade the market. If you do not have that money to get a professional help, you can take help from the Forex webs. There are many websites giving solutions to traders and they are free of cost. You will not be charged when you are taking help from them. You can also go to a Forex community and other traders can help you. When there are many ways to make money, binary trading is making its way among the people. This trading is not like a strategy in Forex and you are going to lose more money if you use it. When this trading strategy sounds attractive, it is a trap to lose your money. Compared to currency pair trading binary options trading is very risky. In fact, the professional traders only trade the options market instead of a binary option. They know very well that trading the lower time frame with tight expiry period for their trade is lethal for their trading career. However, if you have extensive trading knowledge in the financial industry then you can make some huge profit by trading the options. But being a new trader it’s highly imperative that you trade the tradition market. Your first job is to learn about the nature of this market. Never look for huge profit from a single trade rather wait patiently to find the rational trade setup. Those who are successful in the field of Forex has excellent knowledge in trade management. They know without following money management they will never succeed in the financial industry. Many novice traders in the exchange traded funds community often say that they have all the trading knowledge to trade this market. But when it comes to real life trading they lose a big amount of money. You need to create your trading system based on your personal knowledge and demo trade the market to build confidence. Never start your trading career with real money. Learn how to deal with the highly volatile market in an efficient way. Seek help from the professional traders and if possible go for some paid trading course. The more you will learn the better you will understand about the price movement of the financial instrument. The binary trading strategy is the strategy where traders can only make profit and loss. When the other traders are also making profit and loss, the way of placing your trades is unlike. You will be placing and you can make profit or loss. It is more of playing a House of Las Vegas than trading in Forex. When people think that they can make money trading with binary trading strategies, you are going to lose more money. This strategy is observed by Forex councils all over the trading countries. All countries observe binary trading and many brokers also do not offer these trading strategies. You will not see many articles on binary trading as it is risky and not profitable. You may see add that you have the chance to make your profit if you trade with binary but those adds are likely to be in your spam folders of your email. When you are trading in binary, you are voiding all the Forex stages. You cannot make the use of your strategy; the analyses will not come to your help and you cannot know if you are going to make money. It is not at all profitable in Forex. If brokers tell you binary trading is profitable, you should change your broker. There are many strategies open in Forex to make money.